At SPARK Museum of Electrical Invention, we love to celebrate visionaries. 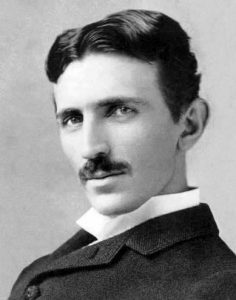 Nikola Tesla, whose birthday we remember on July 10, is one such person. It’s difficult to delve into the history of electricity without encountering many of his visionary ideas. Live television: According to an Associated Press story from 1926, Tesla predicted that one day, people would be able to carry a small device in their pockets that would allow them to see distant events. “We shall be able to witness the inauguration of a president, the playing of a world’s series baseball game, the havoc of an earthquake or a battle just as though we were present,” Tesla said. Check. We’re there. Radio-controlled vehicles: In that same article, Tesla also predicted the existence of radio-controlled airplanes. “Perhaps the most valuable application of wireless energy will be the propulsion of flying machines subject to radio control,” he said. “International boundaries will be largely obliterated and a great step will be made toward unification and harmonious existence of the nations.” Again, check. Well, except for the whole “harmonious existence” bit. Self-driving cars: You’ve probably heard that today, Elon Musk’s Tesla is producing and selling self-driving cars. Given that, we couldn’t possibly leave out Nikola Tesla’s proposition for such a thing way back in the century before last century. Here’s the man himself, describing the idea in Chapter 6 of his 1919 autobiography My Inventions: “As early as 1898 I proposed to representatives of a large manufacturing concern the construction and public exhibition of an automobile carriage which, left to itself, would perform a great variety of operations involving something akin to judgement.” Well, here you go. Check. Wireless transmission of electricity: We haven’t yet reached Tesla’s ultimate vision of wireless power transfer, but we do have the Tesla coil as an example of one way it can happen. At SPARK Museum, one way we celebrate Tesla is by using this incredible invention to thrill and delight visitors. (We are home to one of the largest Tesla coils in the entire country, and visitors can get zapped by it for a mere $10 — in addition to the $12 entry fee for the Museum and MegaZapper show). Talk about an unforgettable experience.) 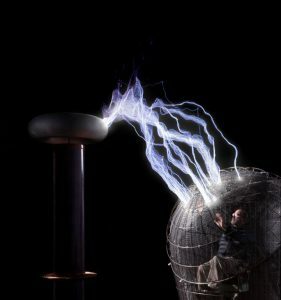 Picture this: You, inside SPARK’s custom-built Faraday cage, quivering with excitement (and a little fear, right? Let’s be honest) when, suddenly, 4.5 million (yes, million) volts of electrical potential light up the room as 12-foot lightning bolts snake their way toward you — from Tesla’s visionary mind straight to your fingertips. The cost goes to support science education for future visionaries, so it’s a good deal all around! Maybe you’ll be helping to inspire another Tesla among us — while enjoying some of the fruits of his vision from a century ago. Yes, Tesla was a visionary. He did send energy through the air without wires. He did demonstrate remote control to stunned audiences baffled by this science fiction style technology. 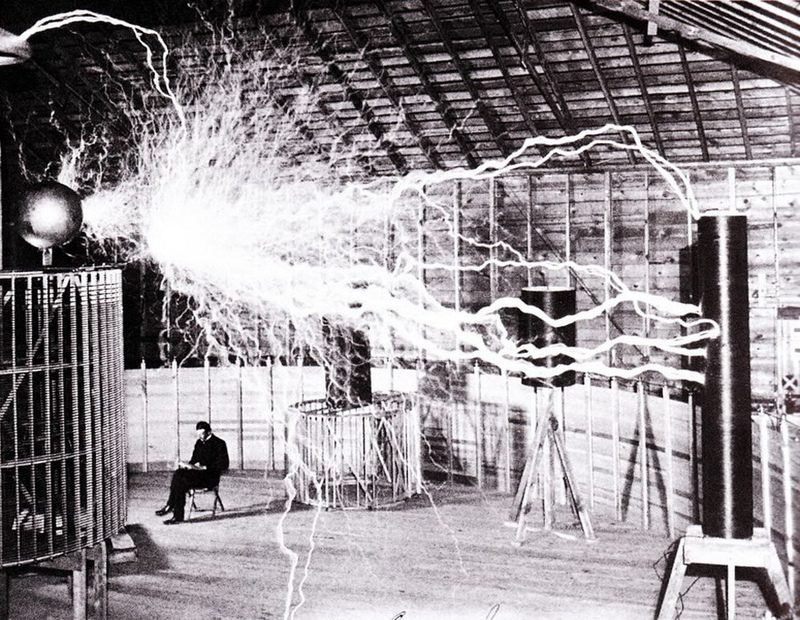 Tesla wasn’t just imagining this marvelous technology, he was doing it! We gladly demonstrate Tesla’s visionary devices and discoveries daily at SPARK Museum. It’s marvelous to have a florescent tube glow in your hand just the way it did for Tesla and his frequent guest, Mark Twain. Recreating that environment and those demonstrations is a thrill everyone can experience. Right here. Come see!